Pappus of Alexandria (circa 300 AD) followed the Greek tradition in mathematics as a geometer. In eight volumes he summarized mathematics as known at that time. He based his own work on Euclid, Archimedes, Apollonius, and others. Pappus extended some theorems of Archimedes on the shoemaker's knife when he created his chain circles. 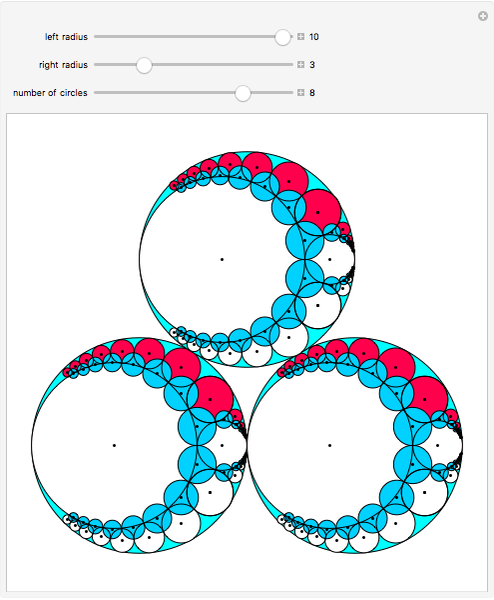 This Demonstration completes Pappus' chain of circles. 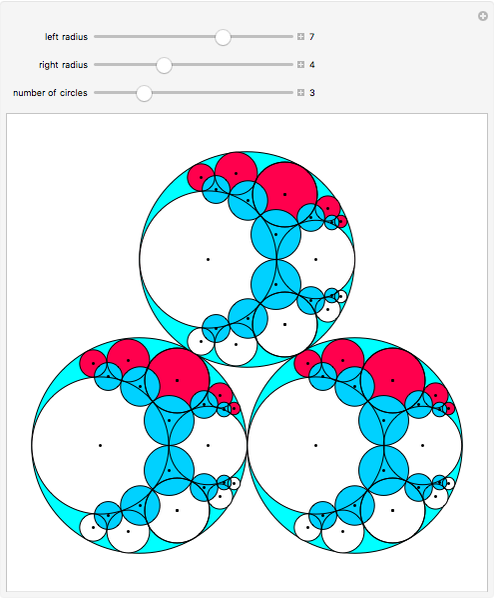 Inspired by , about 20 years ago I wrote a program with Mathematica to graph Pappus' chain of circles. Here that chain is generalized to two. C. B. Boyer and U. C. Merzbach, A History of Mathematics, 2nd ed., New York: John Wiley and Sons, 1991. 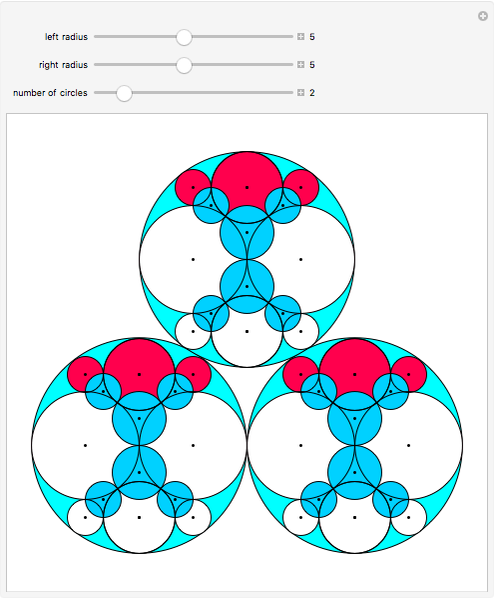 Abraham Gadalla "The Completion of Pappus' Chain of Circles"